Everyone believes it was an accident, despite the phone threats Jane swears were real. But the truth is a thorny thing. As Jane's boyfriend, friends, and admirers come to visit, more memories surface not just from the party, but from deeper in her past . . . including the night her best friend Bonnie died. With nearly everyone in her life a suspect now, Jane must unravel the mystery before her killer attacks again. 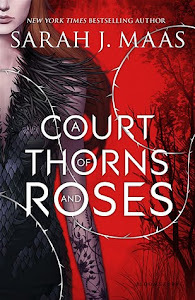 Rosebush came so so close to being awesome, but for me it lost its "wow" factor after the first half. At first Rosebush was fantastic! Full of suspense and surprises that you won't see coming. The plot is so intriguing, you want to know what almost killed Jane so bad, since she has no memory after of what happened after the accident, you want to flip the pages and get to the end just to find out. All the characters were nicely pictured. You learn a lot about them, the relationships between them, their background, so you feel like you know them well but at the same time you feel you're just missing a tiny detail, some information about them that would help you get one step closer in cracking the case. So the first part of Rosebush will go by without you even noticing, really. Now about the second half. It still had a certain amount of suspense, but not quite enough to keep you interested. In other words, it dragged. And in order to cover the fact that the plot dragged, Jaffe decided to put some extra romances in there which were not believable at all. She did a great job in the 1st half trying to convince us that Jane was head over heels for her boyfriend and had eyes only for him, only to make her throw herself at every male that happened to visit her in the hospital. It was rushed and unnecessary. The ending was not bad and surprising enough. Although, I would rather the reason behind the killer's actions had something to do with Jane herself, like she did something wrong to piss someone off, instead of the killer being simply a psycho. 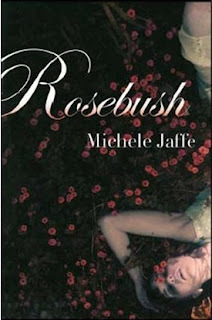 I don't think you'll regret picking up Rosebush. It's a very good thriller novel, in which you will be totally engrossed at the beginning but later on it's very possible you'll lose interest. Recommended to Mean Girls, Private and Pretty Little Liars series fans. I have debated buying this before,but haven't yet. Glad you enjoyed. I hate to when books drag.